The Victor Corporation is a manufacturer of fine jewelry, specializing in unique and attractive bridal and fashion styles that appeal to an exceptionally wide range of jewelry buyers. 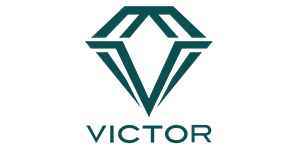 Founded in 1946, Victor sources diamonds and gemstones from the world’s stone cutting centers and produces an elegant line of rings, earrings, bracelets and pendants that fill retail jewelry showcases throughout the United States and Canada. As a trusted supplier to independent jewelers, Victor designs and provides comprehensive marketing programs featuring seasonal flyers, point-of-sale displays, direct mail campaigns, and digital advertising materials. Victor’s design team works directly with jewelers to integrate jewelry images and marketing campaigns with web sites and other electronic platforms. Jewelers depend on Victor’s insight and flexibility, the essence of a jewelry firm that is a partner with its customers. Personal service and aggressive product promotion complement Victor’s elegant Gem-Art fine jewelry—the ingredients jewelers need to compete.